Innovation, procedure optimization, increase in efficiencies, expense reduction, and automation are terms and concepts no stranger to you. To be competitive today or in the near future, you clearly know that you will have no choice to develop your business in that direction. To do so, you need to have the best technologies in place. Cloud solutions might as well be the foundation of your way to this future-oriented business IT system. If you are not so sure of the interest or the relevance of such a system for your business, here is a summary of four benefits we want you to consider. You know how communications between field inspectors and Level 3 inspectors are important. Considering the fact that the data collected by your inspector is sent to your office server once or maybe twice a day, there can be several major errors that will dramatically reduce your profits at the end of the year. With an adapted cloud solution and a simple internet connection, you will be able to work anywhere around the world on shared files. This means that your team will be able to access, edit in real time, and share documents from all over the world. Imagine that your field inspector could send each saved report, in real time, back to your office so your Level 3 inspector could analyze it in the next minute. In addition, all the files are centrally stored for better accessibility which means simple and effective team collaboration. Your customers are increasingly demanding about the traceability of the data you have collected. Which is understandable, because most of them are subject to strict regulations. Offering your customers an access to their data gives them confidence about your work and reassures them with the choice they have made. Physical server equipment can be very expensive. Sometimes you even pay for space you do not need. Furthermore, system updates must be done on a regular basis and computer problems that often occur at the worst moment can be very expensive as well. With a cloud solution, updates are transparent and most of the solutions allow you to only pay for the space you use. This definitely lowers your operating costs. The loss of computer equipment is unfortunately very frequent. 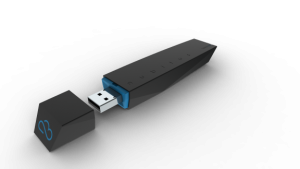 Inspectors can lose USB keys loaded with critical information, a laptop can be stolen at the airport or the hotel, or worst your office may be victim of water damage or power outage. In such undesirable cases, a cloud solution allows you to sleep on both ears. It will save you a lot of time and money. Because you know you are able to retrieve your data from anywhere. In this article, we have presented four pros of using a cloud solution but there are also cons. If you want to learn more about it, Éric Dusablon, Co-founder of will give a keynote on this subject at the ASNT Annual Conference 2017. If you do not have the chance to attend, you can ask for advice by email. Will Carbon Paper Forms Protect Your Competitive Edge? Connected solution, safe enough for the file management?